Fun idea from Apples to Applique! Write possible characters on white paper and settings on yellow (each student will get one of each). 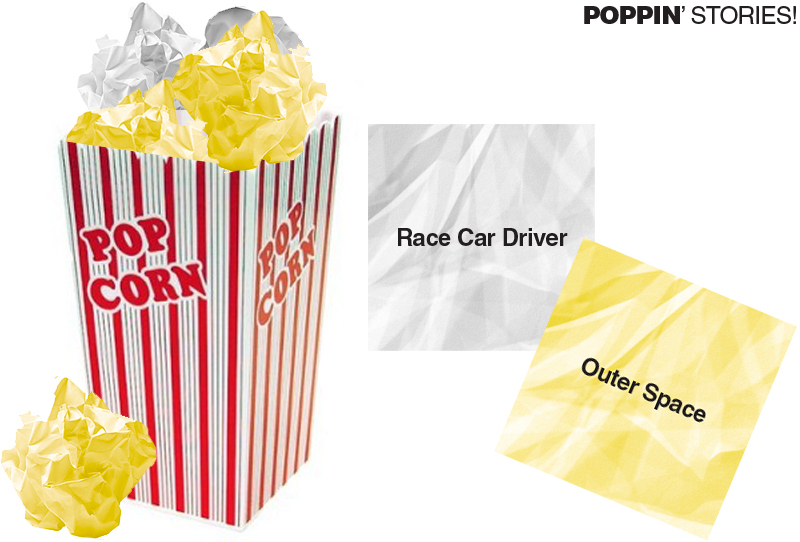 Crumple the paper so it looks like popcorn and toss in a popcorn container. Each student grabs 2 pieces of popcorn (1 yellow, 1 white) and than writes a creative story! Also, check out French Fry P.O.S. for another quirky writing activity and Build a Story for post-it note collaboration!